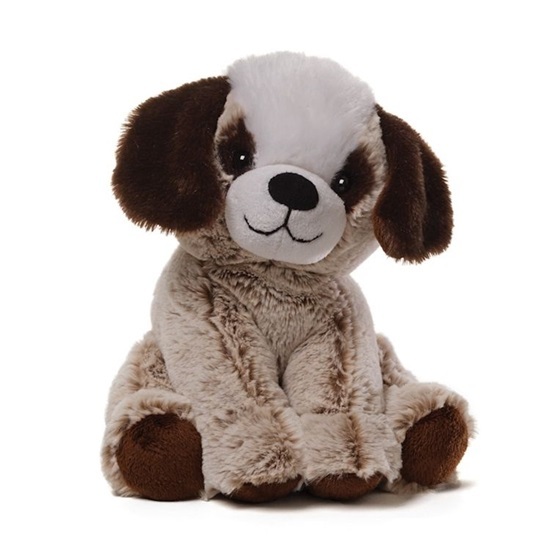 Judy's Doll Shop | Mushmellows "Dog"
This soft plush puppy dog is sure to work his way into your heart..
We are pleased to share "dog" from the Mushmellows series from GUND. This is an 8-inch soft plush dog. He is a tan frost tipped puppy with dark brown plush ears that are lined with brown plush on the inside. He has a white "blaze" down his face, with brown eyes and a soft black plush nose. Mushmellows is a new series from GUND that is super soft, huggable, and cute! This puppy from GUND is machine washable and good for ages 1 and up.